This mud pot gave me a revelation on the origin of clay. I was aware, that clay is a completely different mineral than sand. For starters, sand is based on silicon dioxide and clay on some complex aluminium compound. Sand is mechanically worn down rock, usually quartz. But I never got around to understand where clay came from. 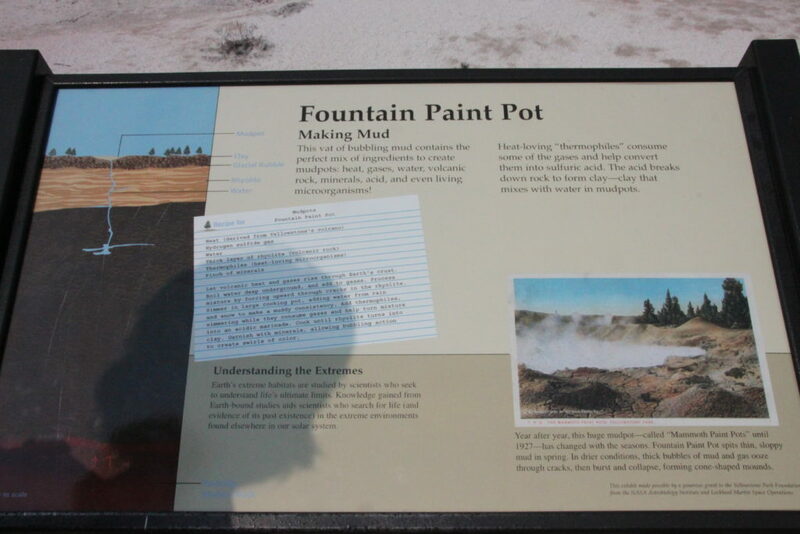 Here, a small sign at the side of the mud pot revealed a complete different mechanism: chemical alteration of rock by hydrothermal action. Now, it became clear to me, how all the funny properties of clay arise from this generating process. Unlike weathered sand, clay grains are nice symmetric hexagonal crystals. And these crystals grow under changing conditions for temperature, chemistry and pressure. Exactly the environment in these mud pots. 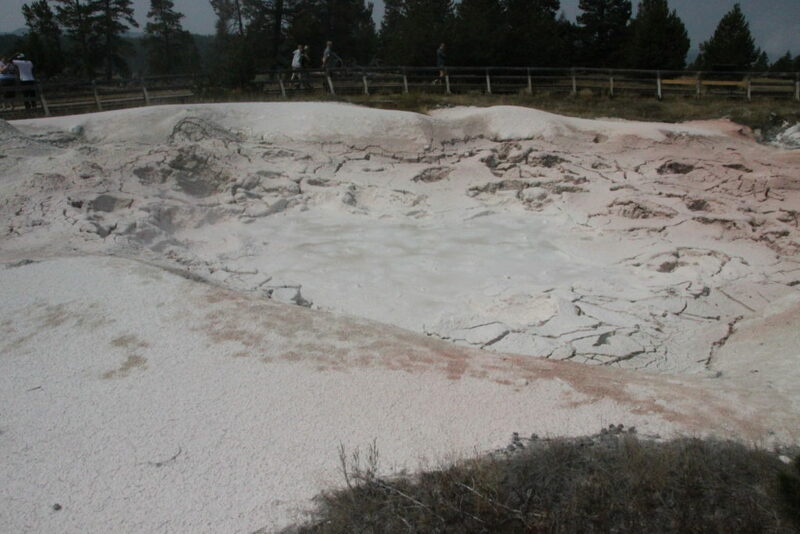 The sulphuric acid leaches the chemicals from the rock matrix, in Yellowstone usually Feldspar, the water bubbles to higher levels, transporting and mixing the ions and cooling down along the way. 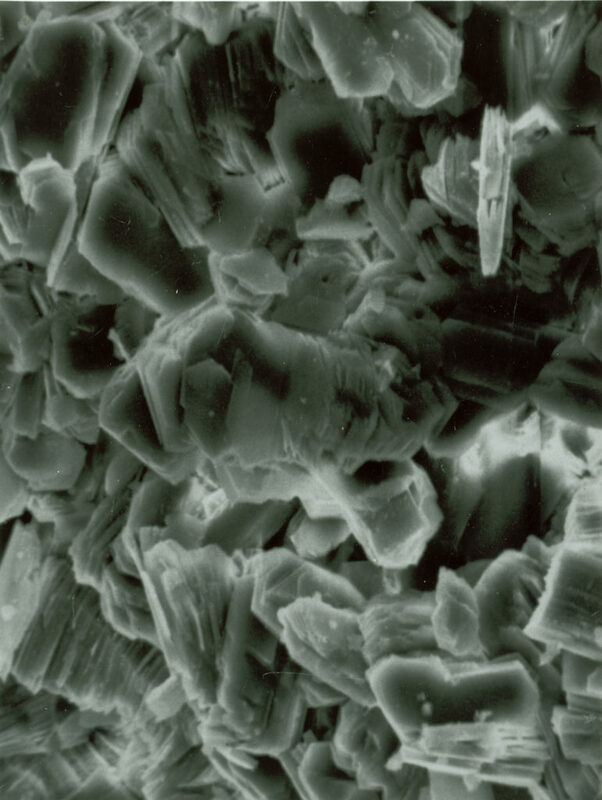 Just like salt crystallises in brine, the clay shakes out like tiny particles, about 2µm. These flakes coalesce into a new sediment: clay1. The specific mineral of clay, e.g. kaolinite, is a hydrated oxide. And the hydrate allows the charge of these semi-ions to be moved around. As same charges repel and drive themselves apart, the edges and corners of the little crystal will become negatively charged. Now, there are a bunch of discs that have a preference to stick to each other like masonry. Between the discs, there is not much space making the water content low. But, one can add water and the sediment will swell, but there will still be contact between the ends and centres of the disc. Even with this spongy structure, there is still some consistency. It behaves like a plastic substance, you can deform it and it will stay like that. The plasticity of clay can be measured by rolling the clay in a sausage and measure the water content at which it crumbles. That is a lower limit. An upper limit of plasticity has to be determined by testing the effect of shaking a bowl with clay. Both methods are described2 in ASTM D4318. The difference of water content between the lower plastic limit and the higher liquid limit is the plasticity index. The higher the plasticity index, the more difficult it is to cut this material. It is like cutting warm butter, material is moved around, but you are not severing chunks of the bulk. 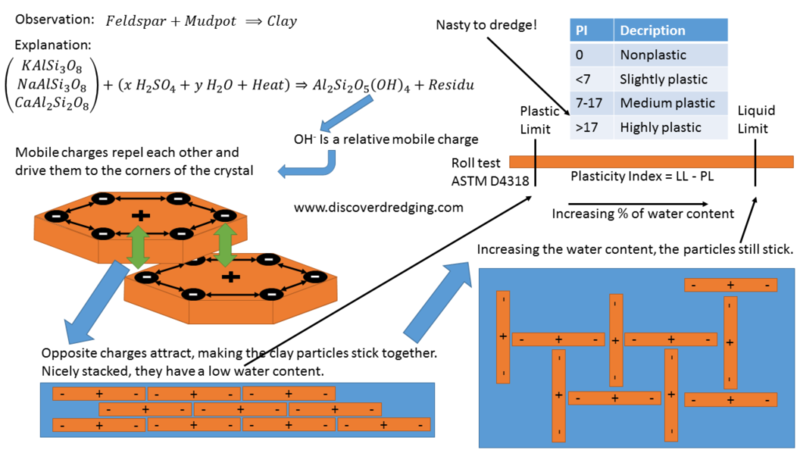 Whenever you hear dredge people boast about difficulties in dredging, usually it involves clay also. 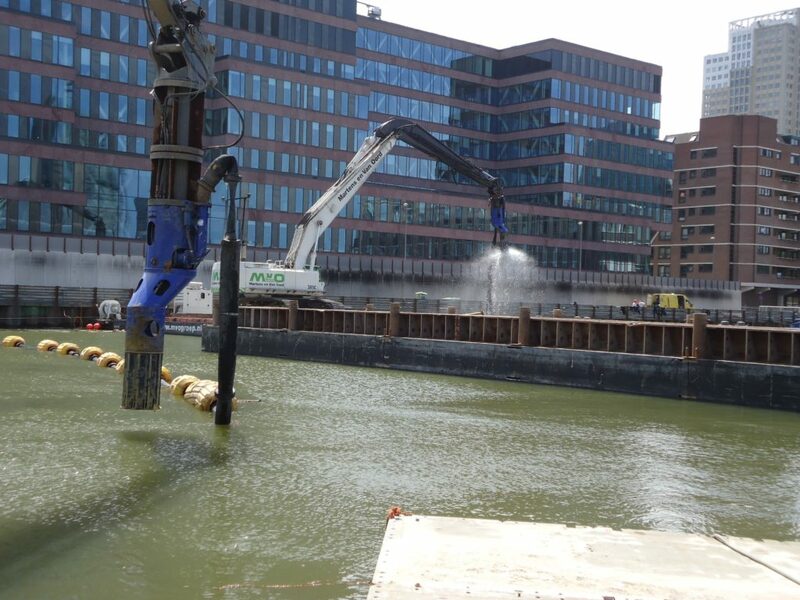 The cutting itself, it is very hard to cut the material out of the sediment. When the chunks come loose, the chunks will stick to the cutter head and the will get completely smeared over and no new material can be cut or sucked up. After that, the clay chunks will tumble down the discharge pipeline. Under certain conditions, the chunks will snowball and form bigger balls. Finally, the clay gets at the reclamation area and will cause problems with the drainage. Remember, fines clog the pores between the grains and prevent the flow of drain water. And clay particles are very fine and they glue the bigger grains together. Knowing the properties of clay, it is obvious, that normal cutting tools for sand dredging, do not work in a clay environment. Based on the special properties of clay, we once developed a special clay tool for a specific project3. And it worked4. It was fun. And it will be another story.